Yesterday marked the one month anniversary of the accident I had in mid May. I celebrated it by getting an Xray, for I have reason to believe I injured my ribs when I fell. As you may know, dear reader, there is not much one can to about a rib injury, yet an Xray is usually recommended. Therefore, I agreed to have pictures of my ribs taken (with the device shown in the image above), even though I much prefer to be behind any camera than in front of one — no matter what type of camera it is! Yesterday also marked the one month anniversary of the last time I saw Super, the Northern Flicker that I helped rescue. I wrote about my last visit with Super (who was still at The Wild Bird Fund rehab center at the time) here on Blogger, and I stated that the staff where he was rehabbing had been optimistic about his fate. They were excited to tell me that he was being transferred to The Raptor Trust. However, it seems the folks at The Wild Bird Fund (WBF) had no idea of the extent to which Super had been injured, and as you may recall from a prior post , they had to euthanize him. It seems that The WBF did not have the means to Xray Super, so they had no idea he had also broken his shoulder in his accident and he'd also sustained injuries that could only be discovered via Xrays. 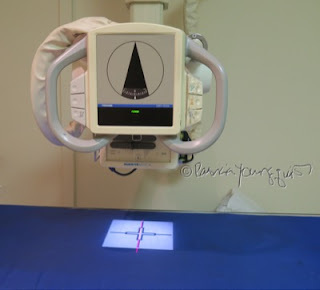 I am more fortunate than Super for I was able to have a C scan the night I had the accident. and I was ultimately able to have my ribs Xrayed at Park Avenue Radiology yesterday. The last time I had been to this facility was to accompany my friend, Peggy Wood. Her name may sound familiar to those who follow my cyber-venues for I've written about her a few times in all of the places I'm represented on-line. 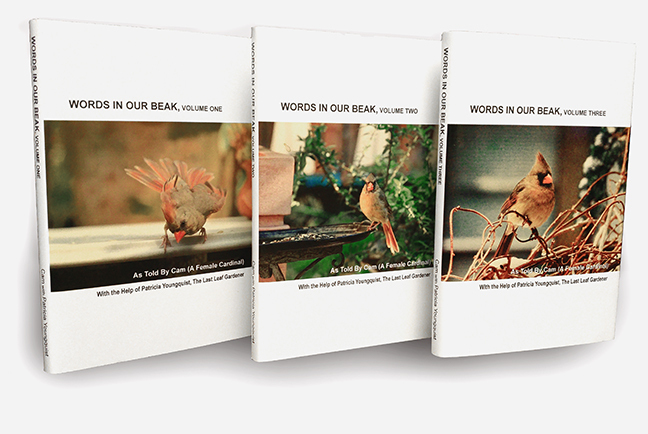 Moreover, Peggy helped with the editing of the book, Words In Our Beak Volume One. This is the book I wrote with Cam, a female cardinal who was a frequent visitor to my urban (NYC) rooftop garden. If it takes off, I hope to contribute monies for Xray equipment for bird rehab facilities. And, btw, the iBook version of this book was published on June 22nd 2015, which means there will soon be another anniversary to celebrate. I'm in the process of creating a mini video to honor this particular anniversary so, please stay tuned.